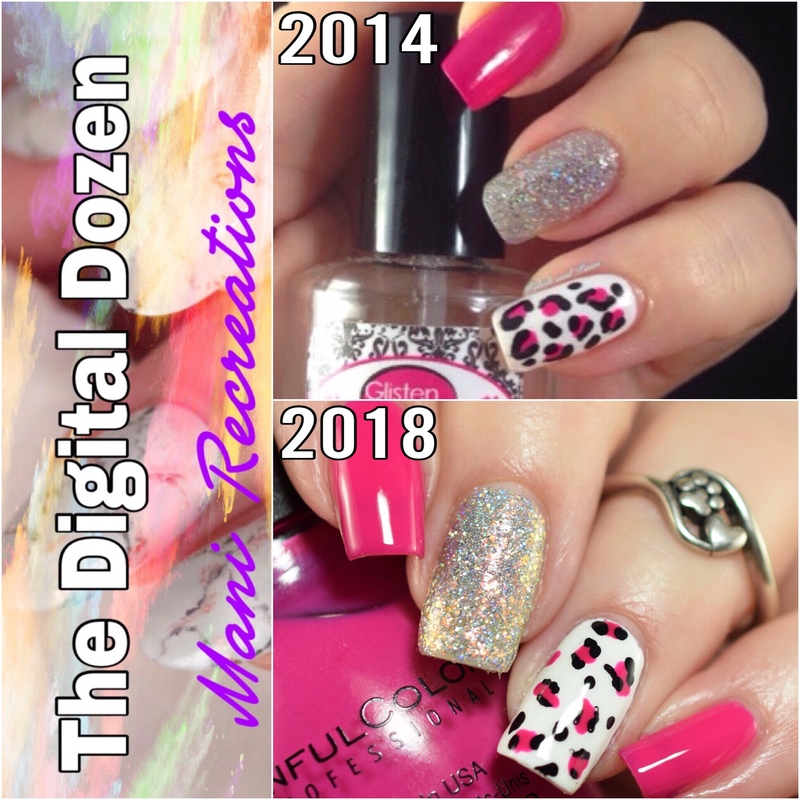 I’m back today with another mani recreation for The Digital Dozen. If you’re a new reader I’ll tell you a little about it. The Digital Dozen is a group of highly skilled nail bloggers and nail artists. During the second full week of each month we each create 5 manicures designed around one central theme. The theme for September is Recreate your First Blog Posts, or mani recreations. I chose a few of my favorite designs, all were originally created within my first year of blogging. I originally did this mani in September of 2014, about 4 months after I started blogging. Check out the original blog post. I stayed pretty exact to the original design with this one, aside from different polishes of course. but even those are really close! How do you like my leopard print nails? I will be back tomorrow with more mani recreations. Be sure to check out the link up below to see what the other ladies did for today. Love the leopard spots and that pink is a great shade! Ok, that pink creme shade is my jam! Love the leopard accent nail! I love this mani! It’s so glam! The leopard and sparkle nail really bring the pink out. Love the pink leopard. It’s bright and refreshing. Love the leopard print! It pairs so well with the silver! Perfect recreation. I think I like the slightly lighter pink in the recreation but they are both beautiful manicures. I LOVE seeing how cheetah has improved on each over years because I like everyone started their! These are great!